Quo vadis – Where Are We Headed? 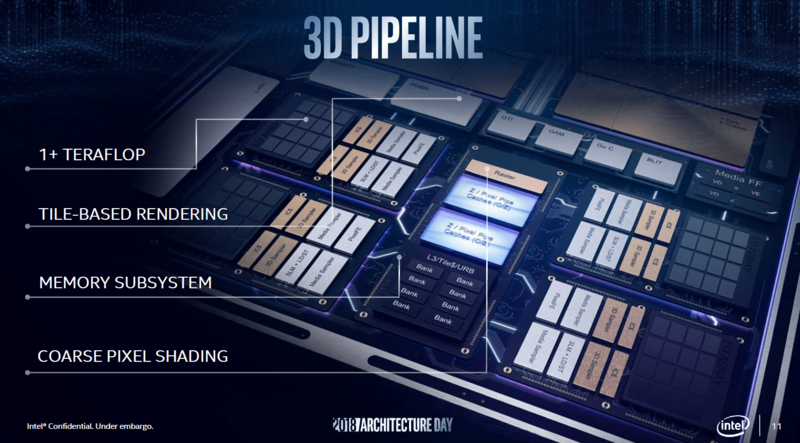 Intel Architecture Day saw the renowned manufacturer release new information about products that are on the horizon. Away from the focus on new processors, there is also a focus on GPUs. This is where Intel presented their new iGPU Generation (Integrated Graphics Processing Unit) and even put some enthusiast-grade graphics cards on show. Here is a short summary of the ways Intel is pushing into the market. 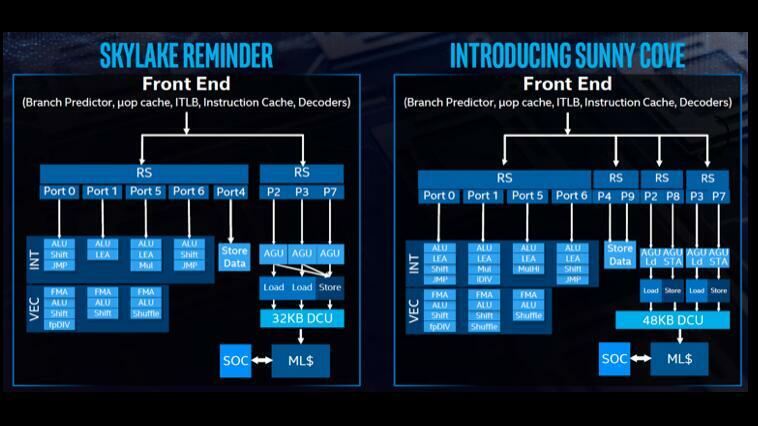 The successor to Skylake’s CPU architecture will be known as Sunny Cove and fht basis for the new Ice Lake family of processors. The Ice Lake-CPUs are rumoured to be using Intel‘s 10nm process and to offer a greater degree of parallelisation in addition to reduced latencies and new algorithms. More detailed information on the new Sunny Cove CPU architecutre can be viewed at Computerbase (external link). Apart from the new CPU architecture, Ice Lake processors will use the new 10nm node and will also include a package design utilising stackable chips (3D Stacking). The new Foveros Chiplet Design is rumoured to combine an Embedded Multi-die Interconnect Bridge (EMIB) with 3D Stacking. EMIB (external link) enables multiple chips to be combined together on a single die. 3D Stacking means that not only can they be located next to one another; they can be stacking on top of one another too. Dies of different scales can be combined together, e.g. a 7nm CPU can be combined with a 10nm GPU chip alongside a 14nm RAM chip – all on a single die. Computerbase (external link) additional info. The Gen11 GPU that will be used in the new Ice Lake client processors from Intel. With 64 rather than the previous 24 Execution Units (EU) the 1TFLOPS "barrier" is rumoured to have finally been broken. This would put the performance of entry-level GPUs in the shade. The focus of Gen11-iGPUs includes, among other things, optimised Media Encoding/Decoding capabilities. At the same time, the integrated 11th-gen graphics processor will also now be able to output content in HDR and even use Adaptive Sync. Computerbase.de also drills into (external link) additional information and goes into dedicated graphics cards from Intel. Known previously only by the codename of "Arctic Sound", a dedicated (dGPU) is rumoured to be ready for the spotlight by 2020. The graphics cards are also set to receive gaming variants and cover the mid-range and enthusiast-level segments too. From 2020 the iGPUs and dGPUs will be merged together in the form of project "Xe".